Our library's drawing section is usually a mess which means it gets a lot of traffic from the ages 8-10 crowd. So, I'm always on the hunt for quality drawing books for the students in my elementary school. I'm impressed with the AV2 Learn to Draw series. Weigl Publishers currently offers eleven different titles in the series including Space, Dinosaurs, Military Vehicles, and Extreme Sports. The books begin with a introduction explaining to readers that drawing involves seeing shapes in objects. Learn to Draw Amazing Animals instructs readers how to draw six different animals in a methodical manner that even the art-challenged (like me) can tackle. The editor who selected the animals knows what kids like. Budding artists will learn to draw alligators, dolphins, elephants, gorillas, lions and sharks. 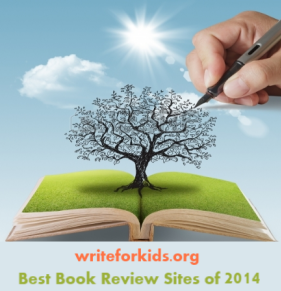 The format of the book is also appealing to kids to love nonfiction. A colorful photograph shows the side view of an animal with labels and facts related to each animal. Turn the page, and readers are instructed how to use shapes to draw each animal in a step-by-step format. I found the directions to be clear and concise. For example, the second step in drawing an elephant instructs readers to "Join the head oval and body circle with a smooth curved line." Blue lines are used in the model sketches to show readers which lines to add to their drawings. 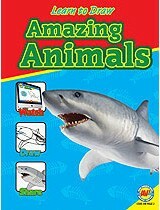 Back matter includes an animal quiz and glossary of animal terms. Readers may use a special code provided in the book to access online games, activities, and web sites with related information. The Learn to Draw series is sure to make everyone happy. Kids will be pleased with the opportunity to draw some of their favorite animals, vehicles, and more, and librarians will approve of the quality binding that should stand up during multiple check outs. Visit the Weigl Publishers Inc. site to view a sample page.